This is a worksheet collection for testing students’ knowledge of times tables. Before working on these Times Tables Sheets, firstly ask your kids to repeatedly memorize, chant, and test their multiplication using times table charts. 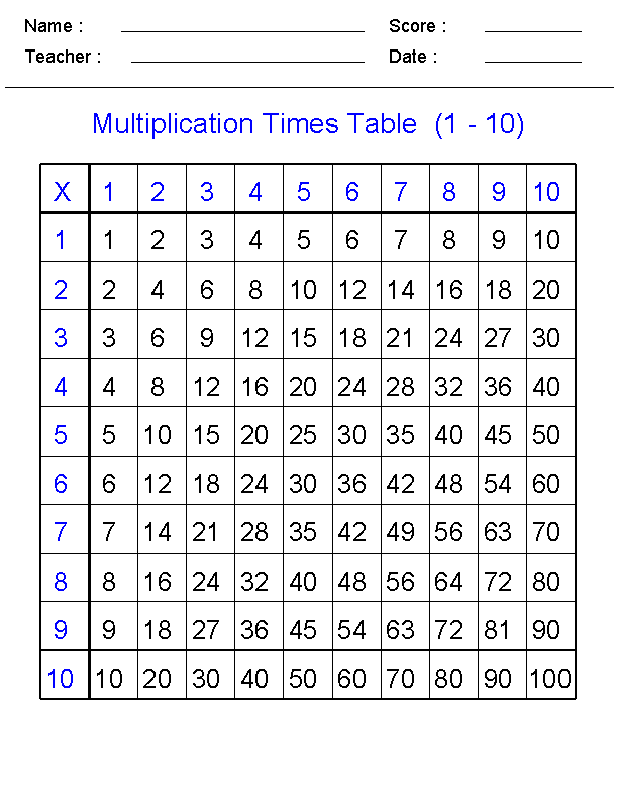 After that, evaluate how well they have memorized the multiplications using these times tables worksheets. Working on worksheets will help kids understand multiplication better. Frequent practice and working through these free worksheets will help improving multiplication skill. These math worksheets can be used by teachers, home-school moms and students in both classroom and homework activities. Provided as a complimentary media for practice, these printable math worksheets will give more drills to your kids! Help your young students practice their multiplication skills with these times tables worksheets. Find more great resource for different multiplication topics in this site by browsing through our collection! Download more printable worksheets and have fun learning with your kids!